The summer releases over the past couple of years have employed the anise notes quite successfully, despite the fact that being more frequently employed in functional products, they have a questionable status in fine perfumery. By way of example, Guerlain Aqua Allegoria Anisia Bella and L’Artisan Fou d’Absinthe allow anise to shine, demonstrating its wonderfully refreshing qualities. 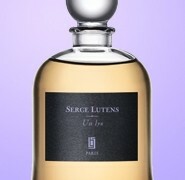 The same icy sweetness unfolds in the top notes of Eau de Réglisse, thus making the initial sensation very appealing. Sometimes the terms licorice and anise are used interchangeably, particularly since in medicinal and food preparations, licorice tends to be flavored with anise oil or synthetic anethole; however its own fragrance is not related to aniseed. Although dominated by the vivid spiciness of anise in the top notes, the main leitmotif in Eau de Réglisse is provided by the true licorice, the caramelized rootiness of which compliments the spicy clarity of aniseed. The chill evident upon the fist inhale fades gently, thus allowing licorice to take the center stage and to form the woody body of the composition. The herbal touches painted over the heart lend a pleasing bracing effect, thus lightening the sweet embrace of licorice. I admit that given my expectations of Caron, I was a bit disappointed by its linear structure and lack of complexity. However, as a summer fragrance, Eau de Réglisse is quite lovely, and in fact, I would reach for it even after the warm months are over. Eau de Réglisse includes notes of aniseed, licorice essence, green mandarin, verbena, nutmeg, ginger, patchouli, vanilla and musk. I received (finally ) my small ‘sample ‘ bottle of FM’s luscious Musc Ravageur ! Along with a generous amount of spray samples ! Gracias Erasmo — Mon Dieu – c’est sensationelle ! Vic, it is very unusual – a lovely potion of the sweet tempered with lavender and musk — so I think. I think it will very well do for “when tge lights are low “, I did not expect to like it as much – but I love it . I just received it from Fedex one hour ago. 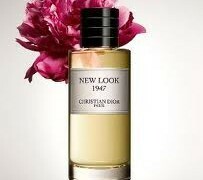 This is a soecial occasion scent ! What do you thibk of it ? I’m off to Montreal , Quebec tomorrow to visit my friend Lea (AG_ Eau Du Ciel. ce Soir Ou Jamais et Chance ) for her !